Following confirmation of the State Opening of Parliament on Wednesday 18 May and the EU referendum on Thursday 23 June, the Houses of Parliament has announced extra tour dates in May and June 2016. Tickets can now be booked for most weekdays between 27 May and 3 June as well as 16/17 June and 23/24 June. These dates are in addition to the Saturday tours throughout the year and Monday to Friday summer tours between 26 July and 2 September. 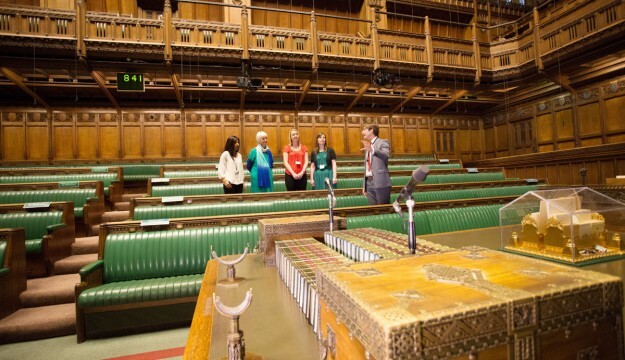 Parliament tours offer visitors several contrasts of styles; from the huge medieval Westminster Hall, to the Victorian splendour of the Lords Chamber with Augustus Pugin’s magnificent gilded throne canopy, to the post war Commons Chamber with its famous green benches and despatch boxes. Individual visitors and groups can choose between a 90 minute guided tour led by a Blue Badge guide or setting their own pace on a self-guided audio tour. Discounted group rates are available for groups of 10 or more. A popular option is to follow a tour with a stylish table service afternoon tea in one of the riverside rooms in the House of Commons. The seasonal menu of savouries and sweets is made freshly on site and combines tradition with a modern twist.